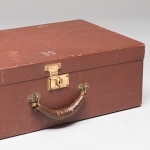 This wooden suitcase has a gold lock and a leather holder. The initials G.B. are painted in silver on the top of the case. It was made between 1940 and 1941 by Gustave Bauer during his imprisonment in a Canadian internment camp. 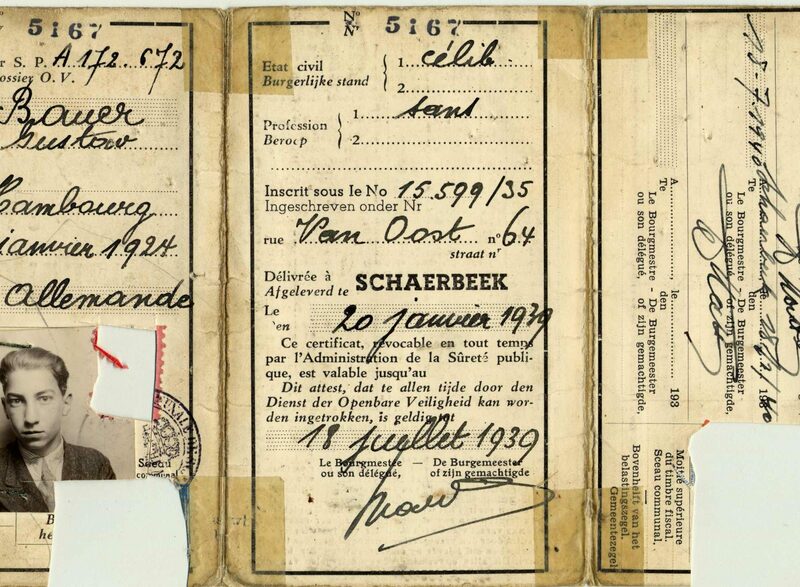 Gustave Bauer’s identity card from Belgium in 1940. 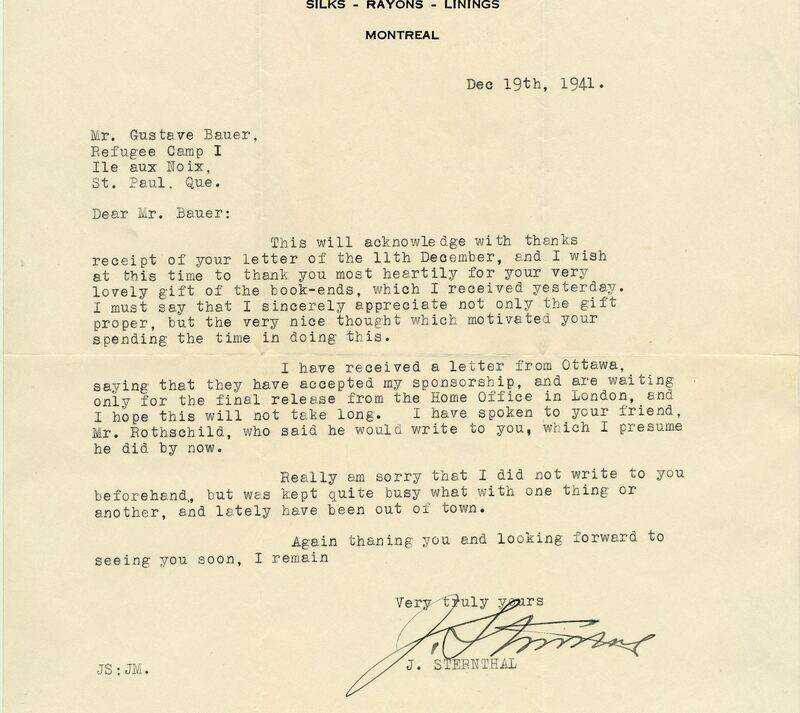 A letter from Joel Sternthal, who sponsored Gustave Bauer’s immigration to Canada, which informed him of his acceptance as sponsor by the federal government. Gustave Bauer was a Jew born in Hamburg, Germany, in 1924. He was on vacation with his family in Denmark when theNuremberg Laws, laws restricting Jews’ rights, were adopted in 1935. The Bauers decided not to return to Germany and went instead to Belgium. 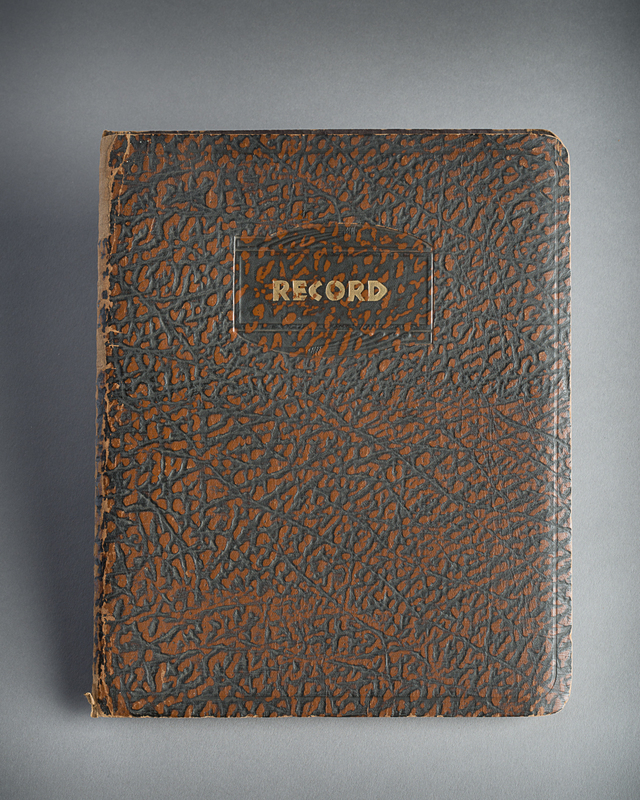 In 1940, Gustave’s father, Manfred Bauer, and his brother Werner were sent to a camp in France. They did not survive the Holocaust. 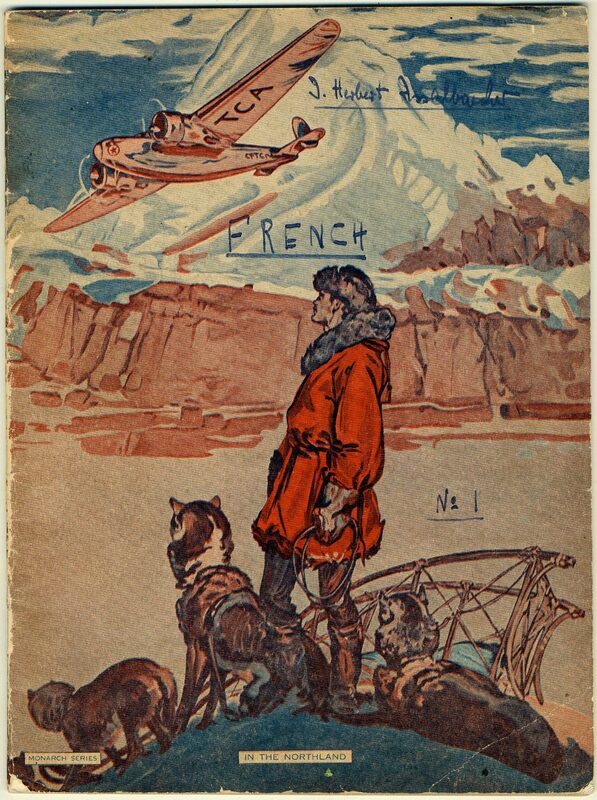 When Gustave and his mother Anna tried to joined Manfred and Werner in France, they were arrested and sent to Great Britain. 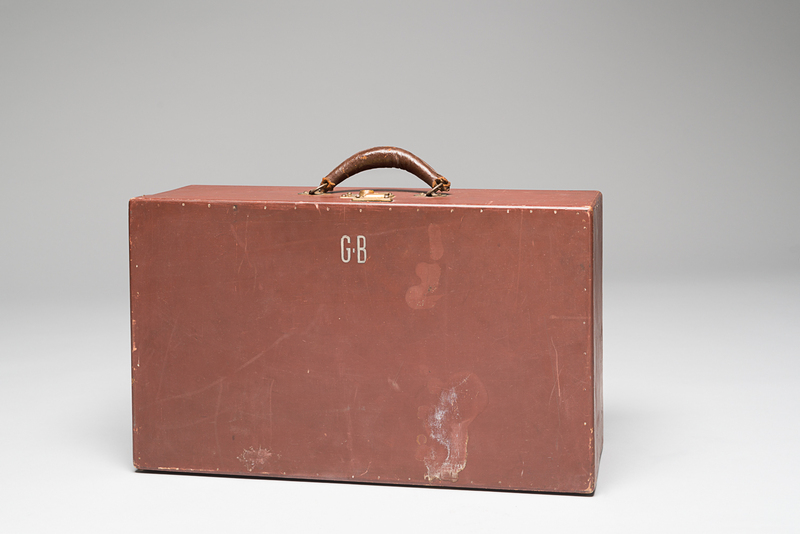 Gustave was detained on the Isle of Man as an “enemy alien” before being sent to Canada on July 4, 1940. He was first detained at Camp T in Trois-Rivières, and later transferred to Camp B in New Brunswick, and then sent back to Quebec to Camp I on Ile-aux-Noix. Gustave was liberated in 1942 and his mother joined him in Canada in 1947. Great Britain and Canada incarcerated German prisoners-of-war and civilians during World War II. Many Jewish refugees from Germany who had escaped Nazi persecution were also detained as “enemy aliens” in those camps. 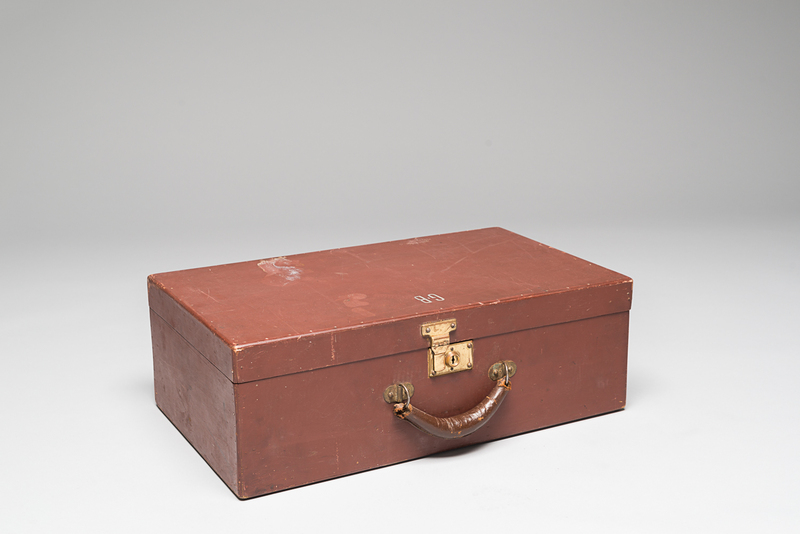 Gustave’s wife, Eudice Bauer, donated this suitcase to the Montreal Holocaust Museum in 2004. 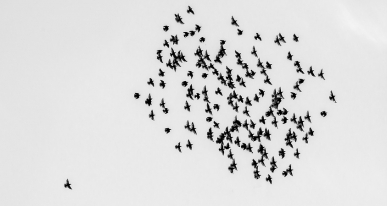 Discover our reference tool to teach the history of antisemitism in Canada.